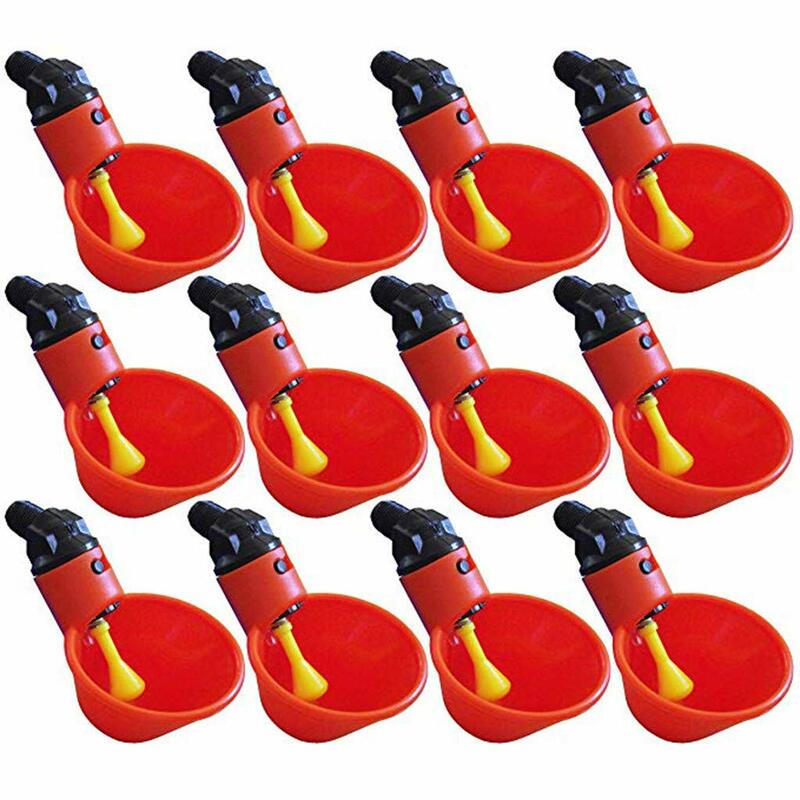 HIGH QUALITY MATERIAL– The Automatic Chicken Drinker Cup manufactured and assembled using high grade materials to ensure the product is built to last. INNOVATIVE AND FULLY AUTOMATED –The drinker cup has a yellow trigger that would attract chickens to peck it. When chickens peck that yellow trigger, the valve automatically releases water into the orange plastic cup providing them water. SUPERIOR PERFORMANCE – Provides a full cup of water every time. NO LEAKS –The cup won’t release water until the chicken pecks the yellow trigger, Releases only just enough water for the flocks to consume. Doesn’t waste or spill water out of the cup due to the triggers lock and release function. EASY TO CLEAN AND INSTALL–The drinker cups can be easily installed by threading it on a PVC pipe or even on a container such as buckets, you just need to drill a 3/8″ hole if installing the drinker cup without the pvc mount. To clean the cup you can easily unmount or disconnect the cup from the drinker thread by turning the orange cup to the left and pulling it down.